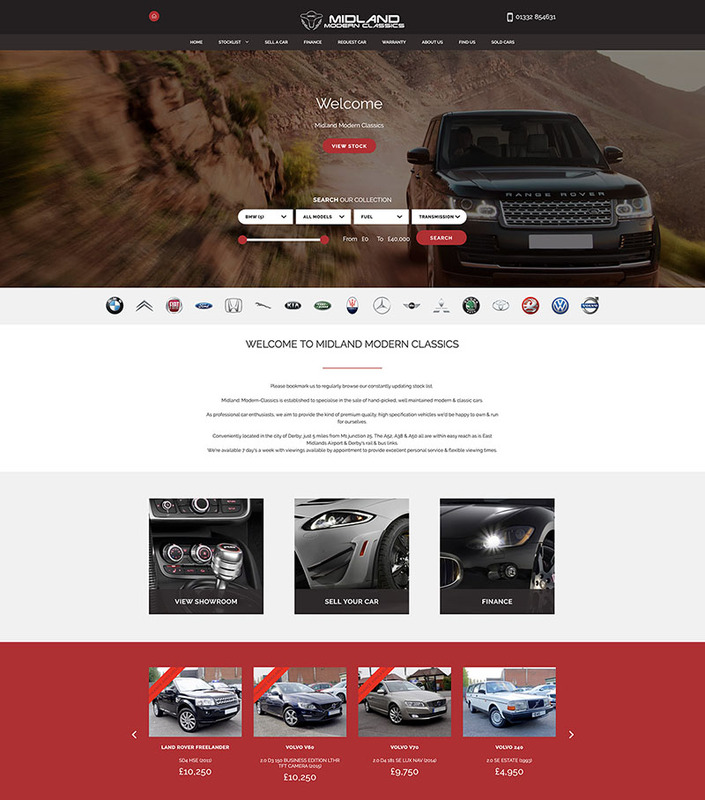 Introducing a brand new theme to the Car Dealer 5 collection – Torque Style..
Torque Style boasts not only a sleek design which can be tweaked on-the-fly, but solid navigation, a great looking stockist page with various options and an even more impressive stock detail page. This website works straight out of the box and is highly configurable – setup time can be complete minutes with logo and stock slider/hero implementation. The Car Dealer 5 Search Engine Optimisation module is included as standard to all new Elite packages with friendly URLs and text-rich information on each car manufacturer which great helps your search engine position. Colours can be changed in seconds and finance integration with Ivendi, Codeweavers and Evolution Funding can be activated also at the flick of a switch. At only £1050 + VAT per year or our new monthly payment option for £100 + VAT per month, any Car Dealer 5 Elite package is affordable.